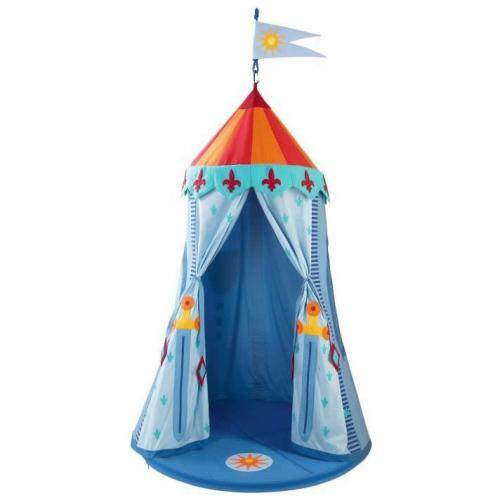 Full Description Knight's Hanging Tent - What a perfect way to make your little one feel like the prince he is. 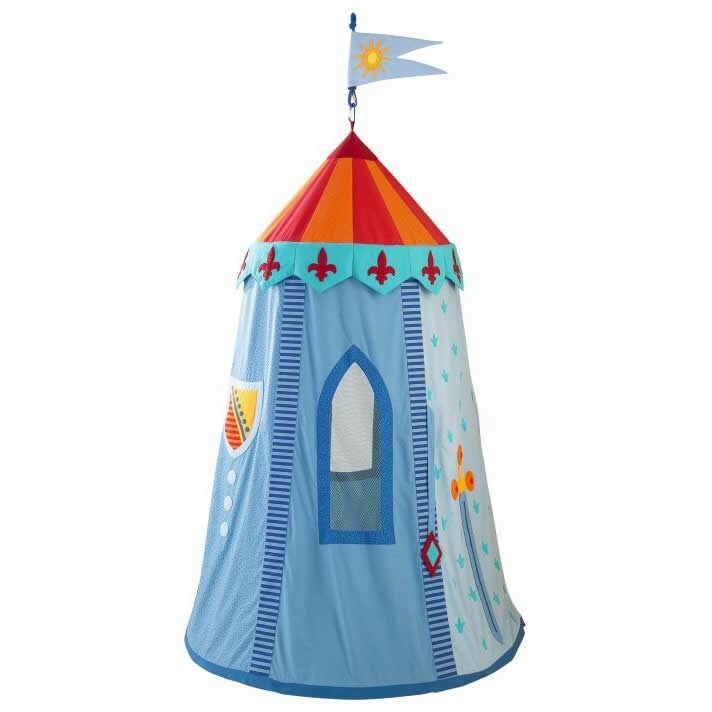 Nothing will do that better than his very own Knight's Hanging Tent! 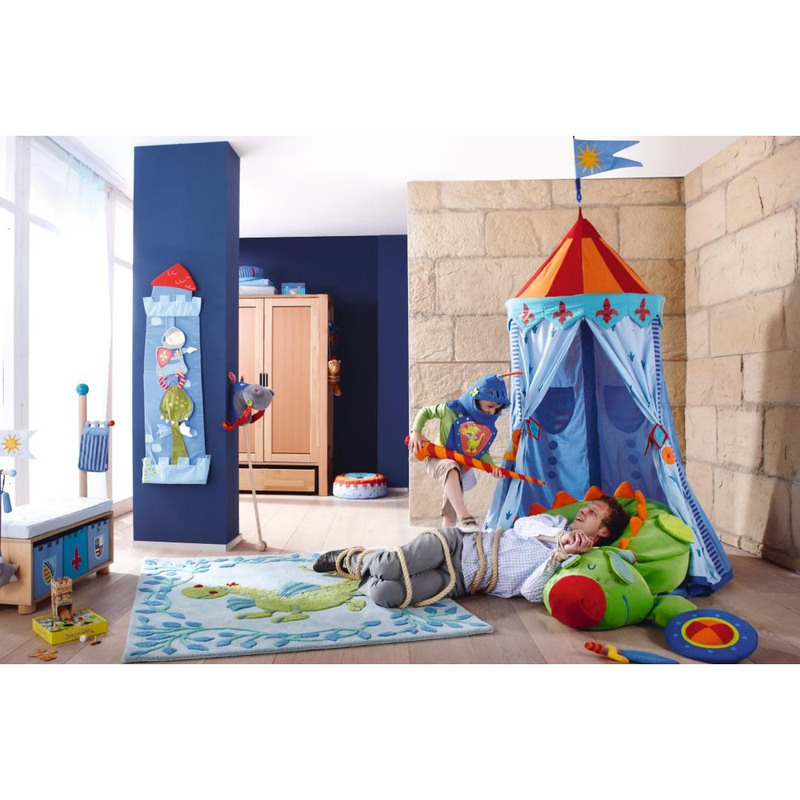 He will spend hours making and creating memories he will remember for the rest of his life in this awesome hanging tent. Easy tear down for space saving storage. For ages 3 and up. Not designed for camping or outdoor use. Includes a padded floor mat. This tent can be secured from the ceiling. Hook not included.